Prior to taking the defendant’s deposition, your injury lawyer in Newport Beach may provide you with information concerning abusive tactics that defense lawyers may utilize. One such tactic that your injury attorney in Newport Beach may warn you about is making frequent objections. It is hard for an injury lawyer in Newport Beach to take someone’s deposition if the other attorney is constantly making the lawyer stop because of objections. This tactic can confuse the attorney and make him or her forget where the testimony was heading. 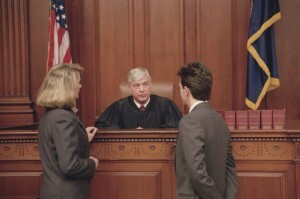 It interrupts the testimony and also makes the witness become distracted. It impedes the discovery process as well. An injury lawyer in Newport Beach and the defense counsel can agree before the deposition occurs that there will be no waivers to the competency, relevance and materiality of the testimony. This will help avoid some unnecessary objections. Other objections, such as to the form of the question should be made when there is a reason to object. However, the witness should still be instructed to provide an answer. However, if the attorney is objecting simply to sidetrack the testimony, your attorney may be able to correct this behavior. He or she may first make sure that the frequent objections are on the record to preserve it for a judge’s review, if necessary. Then, he or she can make a formal request for the unnecessary objections to cease. Finally, sanctions may be threatened. If you would like to learn how an attorney can assist you with your case, contact Russell & Lazarus APC at 949-851-0222.